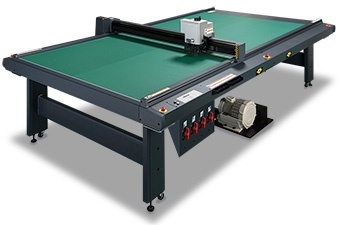 [CF22-1225] is a flatbed cutting plotter based on cooperation with inkjet printers focusing to enhancement of usability. [CF22-1225] is suitable to cut 4x8 material (1,220 x 2,440mm / 4x8ft) of popular size of signboard production for the combination use with [JFX200-2513], Mimaki UV flatbed inkjet printer. It is able to select the best cutter head type to fulfill your needs according to your cutting material and application.